Benjamin Yamoah would like to welcome everyone on this team; he personally thanks the members for joining shoulders to help push his vision to the height it ought to be. ‘Atoms of Fashion’ is a vision that once laid deep in the shadows of his dreams. He strongly believed that with the right people, he will be able to transport it from shear ideas into tangible reality. He believes in this core idea: that one's ability to accomplish greatness is limitless if money was not an issue. If asked to list 10 things one would like to accomplish if money was not an issue the list would be endless; this endless possibility is what he wants to deliver to a student going to college/university in Ontario, who are in financial need. It is a commitment of helping students prepare for their futures and support their efforts in pursuing academic excellence, challenging them for higher achievement. Above all, he has a desire to give back and to make a difference; and with a smile he is calling on everyone to contribute in any way possible to the AOF Scholarship Fund. Benjamin wears man hats, besides being the founder of Atoms of Fashion, he is also the owner of Envoy Photography, expressing his art through the lens. Being an artist himself, Benjamin is also working on a new men's clothing line which is set to launch in 2019. With her bubbly personality, Deidra Smith brings a livelihood to the team like no other. Founded owner of Déesse Heir Inc., Deidra strives to make every woman look their best and feel confident whether she's rocking her own locks or adding extensions to compliment her style. This year, along with premiering her own business, she is excited to join the team to make Atoms of Fashion this year the best of its kind! Her contributions to the project was with no hesitation, especially when she discovered that AOF will honor two students with a scholarship to help further their career. Always an advocate for giving back to the community, Deidra is all in for this year's event and looks forward to meet fashion-minded individuals like herself. Nana Bediako also known as Mr. Tailor is a Canadian Artist, Fashion Designer, and a Bespoke Tailor. He is a recent graduate from the Toronto Film School’s Fashion Design program and the University of Waterloo's Fine Arts program. He is currently taking a multi-disciplinary approach in melding together a career in painting and bespoke tailoring. Throughout his adolescence, Nana Bediako spent majority of his time with his grandmother whom he assisted selling African fabrics at the market. His mother was a seamstress, who taught him how to sew buttons and hems for her and her small business. 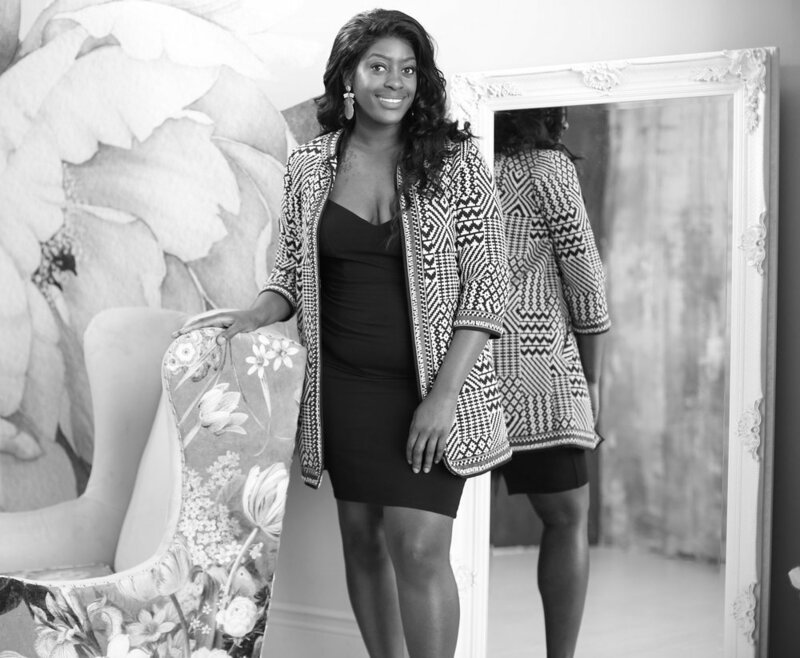 While growing up in Ghana, Bediako explains that there was not a roaring clothing industry for high end fashion, and what did exist in the field of clothing production was dominated by women. Thus, Bediako did not see fashion or fine art as a direction; rather he decided to study the mathematical precision of architecture. The artist began his art training at Accra Academy, Ghana. By the age of sixteen, he started his own clothing brand by the name of Loggiz Wear. In 2005, he immigrated to Canada, and it is at this point that Bediako began to build a strong interest in art and fashion. Atoms of Fashion is excited to have Nana on board as he will help mentor this year's fashion student's who will showcase at the fashion show. "Ready and prepared to live and soar starting with this event. It has been an absolute pleasure working with all these amazing people firstly. Secondly I can't wait for the event so everyone should try their hardest to be there. We won't disappoint. So I'm just a woman trying to surprise myself everyday of the limits I can exceed. I have a weird personality but I'm honest about it. I guess the common ground as to why I'm part of these amazing people is fashion. When asked, everyone loves fashion but not everyone understands it, guess what, I do. The best part about this event is, you and I get to give back to the community. Right! There's a scholarship for someone in need after all this." Yaw is an artist & designer based in Toronto. He was trained in Architecture, graphic design and Fine Art, and work in those areas as well as products designs and creative consulting. His work has been exhibited in Germany, Spain, Netherlands, Atlanta, Austin and has been published widely; cover feature of Designlines 2018, .Cent Magazine 2016, and Making Africa; A Continent of Contemporary Design 2015. Faith Ganda, is a travel and fashion enthusiast with an eye for adventure & new experiences. She is known for always thinking outside the box and bringing an ounce of classy and creativity to anything she is involved in! With a background in event planning and involvement in some of Toronto’s biggest fashion shows ... we know that Faith will be a strong addition to our team! It began with our great grandfather Mr. Mahdi AlBeer in Baghdad, Iraq in the year 1920. He was a specialist in black and heavy embroidery fabrics. He passed his knowledge to our grandfather Mr. Mustafa. He in turn taught my father Mr. Yousif AlBeer. My father spent several years of his early working life learning the family business and growing it in innovative ways. He introduced the high end fashion line in Baghdad in the year 1978. Ever since, the business was grown and thrived with offices in Baghdad, Dubai, Toronto and Shanghai. As we continue to grow and expand, we are looking forward to opening our next branch in China. Hussain has contributed by scouting Toronto designers to feature in Atoms of Fashion. Meet Annelle! Though the youngest member of the Atoms of Fashion team (I think), is looking forward to creatively contributing creatively to what will be an outstanding Fashion Show. Annelle is a Ghanaian-Canadian that mainly grew up in the Toronto area and later in the GTA and played sports like basketball and volleyball throughout her school years. She is not only honoured to be part of a platform that will recognize and reward the ambitions of a student, but also looking forward to seeing local creators showcase their work and bring life to AOF. Annelle is a recent Carleton University graduate that studied Criminology and Criminal Justice in hopes of becoming a criminal lawyer. Though you might be skeptical (or confused) about the relationship between Law and Fashion, Annelle will have you know that she will be the Jessica Pearson of her time sporting cute office looks in the future God-willing! With a style that is simple yet classy she hopes that with AOF, her views of fashion will expand and will over all spark a drive to collectively inspire and be inspired.